Karl-Josef Schmidt is an historical tinsmith, specializing in 19th century reproductions. He trained with tinsmith Loren Miller at the Stuhr Museum of the Prairie Pioneer in Grand Island, Nebraska, and with master tinsmith William McMillen at Historic Eastfield Village in rural East Nassau, New York. He uses primarily antique, 19th century tinsmith's tools in his workshop, drawing on historical tinware examples for inspiration. 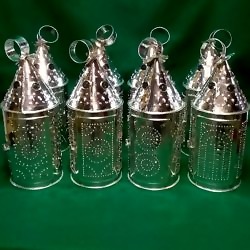 19th century tin reproductions, bespoke work, and modern decorative tin creations.